What if you could fly anywhere in the world for $50 or less? 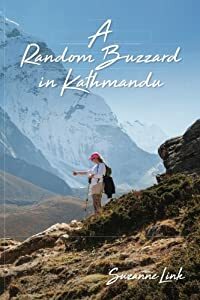 Jen Ruiz is a solo travel blogger and lawyer who regularly finds cheap flights, like a $38 flight to New Zealand, $16 flight to Ecuador and $70 roundtrip flight to Aruba. She has been featured by The Washington Post and ABC News for her budget travel secrets. Now, she’s revealed all her best money-saving tips in one place. And so much more! Plus, as a bonus, you’ll have access to a list of free mobile apps every traveler should have, essential websites for those interested in living and working abroad, and side hustle ideas to help you get started funding your next trip. 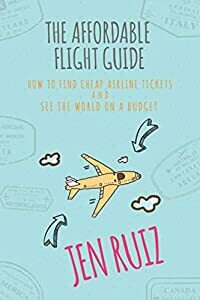 If you've been wanting to see the world, but money has been holding you back, this guide is your solution. Once you figure out how to fly for less, you can start traveling more. Stop paying thousands of dollars in airfare and start outsmarting the airlines. Great deals are waiting for the savvy travelers that know where to find them. Views the world's largest earthworms (they're 20 feet long!). Discovers the secrets of alien spaceship propulsion--from an Ivy League astrophysicist. Makes a pilgrimage to see a 2,500-year-old tooth. Considers the fate of a three-legged elephant. Participates in a shamanic ayahuasca ritual. 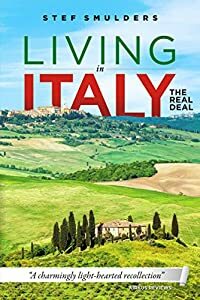 As a 17-year old Italian American from New Jersey, Debbie became obsessed with the idea of traveling to Italy, and the summer after completing her junior year in high school, she realizes her dream when her parents agree to send her on a student tour for 40 days with no one she knew. Friendships form with another American student, and with Cesare, an Italian medical student living in the same "hotel." But what transpires is something no one ever expected, especially her mom. Over the next 45 years, Debbie returns 11 more times, mostly alone. Other trips include her two best friends, another with her father, and horseback riding adventures in the Chianti Region of Tuscany with cousins. Some of the places visited include Rome, Tuscany, the Almalfi Coast, Sicily, Capri, and a 2,500 year-old village in Umbria where the only mode of transportation is a moped or donkey. 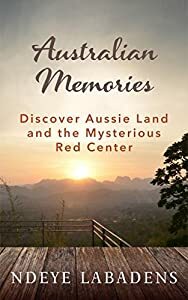 One hundred years after her great grandmother migrated to America, Debbie locates her family in the most unusual way, culminating with a heartwarming reception. 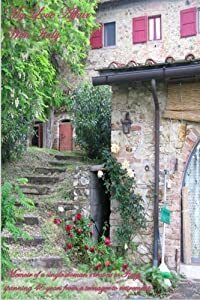 Rarely staying in hotels, "My Love Affair With Italy" describes each of the trips, all the types of accommodations such as the "agriturismi" (farmhouses), the apartments, vineyards, the medieval villages, monastery, villas, and horseback riding centers she stayed in addition to the romances and friends met along the way. At the age of 50, Debbie learns how to horseback ride English style and takes a 100-mile tour cantering through Tuscany, something she was not nearly qualified to do. Within a year, she becomes an exchange student and enrolls in school in Siena, one of Tuscany's most magnificent cities, to learn Italian and moves in with a local family, she not knowing Italian and they not knowing English. While in school, she befriends a German woman who invites her to stay at her home in the beautiful Bavarian Alps during her next visit to Europe, and Debbie accepts in an attempt to practice Italian with her former classmate, but the trip becomes a shocking revelation. The book also details the "jewels" of Rome not mentioned in brochures such as "The Scala Sancta," the Holy Stairs, holy because they are said to be the stairs that Jesus climbed on his way to his trial before Pontius Pilate, and the Aventine Keyhole, a nondescript-looking door on the Aventine Hill, neatly placing the dome of St. Peter’s right in the center.Each trip also details why she returns each time, the struggles endured at home after becoming a caregiver, the 50-year friendships that get her through it all, and the shocking way her father shows his presence in Piazza Navona. Lastly, four decades after it all began, there are very surprising reunions and the most unusual romance. 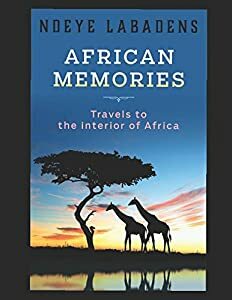 Escape to Africa with the beautiful photographs and videos from: Senegal Ghana The Gambia Mauritania Cote D’Ivoire or Ivory Coast Morocco Cameroon Nigeria Egypt Kenya Libya Benin Cabo Verde Mali Do you enjoy discovering new places? Are you dreaming of adventure? Give yourself the deserved rest and enjoy the beautiful and stunning pictures of Africa. Each country displays a unique facet of beautiful Africa with all of its different cultures. These new places will take you on a journey of discovery, inspiration, and relaxation. You will feel like being at these places yourself with the author as your personal guide. 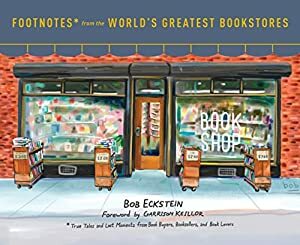 The author makes you feel like being there yourself. Don't miss out on this opportunity and allow yourself to dive deep into the feeling of holidays and adventure. Allow your family and friends the unique opportunity to experience this journey with you, by offering them this book as a gift. Tasmania is a place that isn't easily forgotten. The cities located in Tasmania were remarkable. The boating trip that was taken was memorable, despite a couple of bad experiences. The road trip had its downfalls, especially when the 4-wheel drive vehicle broke down. Read the Dutch bestseller, now available in translation! Already over 30.000 copies sold! Would you dare to follow your dream and move or retire to Italy to live La Dolce Vita? Have a Reality Check first! Stef & Nico did take the leap, although their dog Sara had her doubts. Now from your comfortable armchair you can share in the hilarious & horrendous adventures they experienced when they moved to Italy to start a bed and breakfast. Glossary of Italian words included! Learn the true meaning of Italian phrases and expressions like "non ci sono problemi", "di fiducia", "persone serie", "tutto a norma" and many more. Learn a bit of the foreign language before going to Italy. "Couldn't put the book down"
“ Start writing. Don’t ask what or why...just start” My sister Jeannie, deceased 7 years earlier, wrapped her angel arms around me that September day on the Camino Santiago de Compostela and guided me to my purpose. What is it that magically draws us to step outside our normal realm of existence? That unexplainable energy that sings a calling to our soul? A knowing which came in the late summer of 2011, my pilgrimage was the culmination of several years in which I began learning to listen to the energies of the Universe. Listen to the knowledge my soul cradles deep within. Listen to the love and guidance of my guardian angels. Believe that all I need to know, all I need to understand, is available to me if I simply remain open to the forces of the Universe ...and listen. In September 2014 I followed my soul knowledge and embarked on the Camino Santiago de Compostela, an ancient pilgrimage path some 500 miles crossing the French Pyrenees and west across the north of Spain. 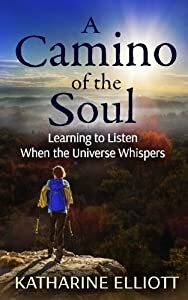 A Camino of the Soul - Learning to Listen When the Universe Whispers shares my Camino story and, more importantly, a lesson of growth and transformation. 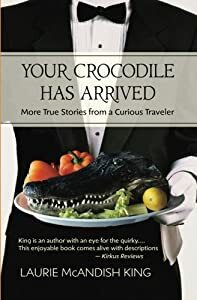 King's travel adventures tend toward the quirky. And her retelling is poignant, thoughtful, often funny, and always appealing. 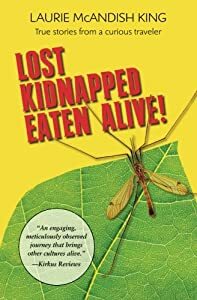 Topics include natural history (lemurs, eco-travel, endangered birds), odd cuisine (the world's most expensive coffee, horse meat, Irish brown bread), culture and anthropology (in Italy, Ireland, and France), healing, gratitude, and inspiration.